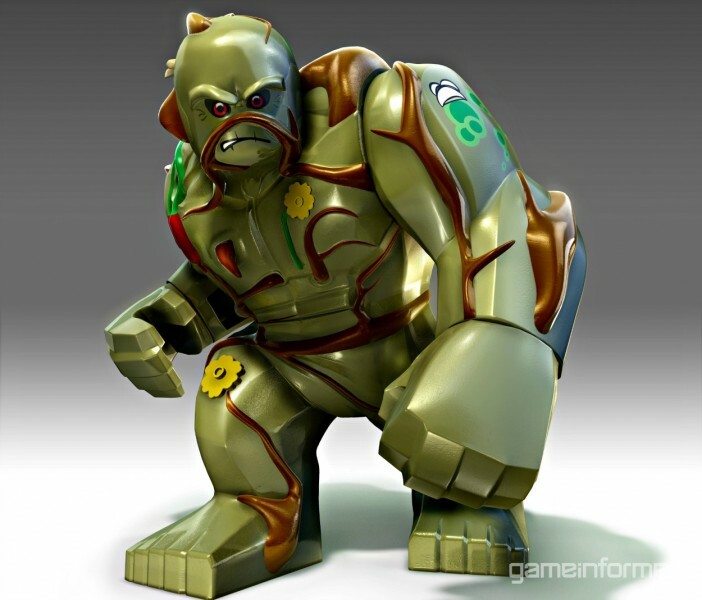 The playable-character announcements continue to roll in for Lego Batman 3: Beyond Gotham. Yesterday, Traveller's Tales and Warner Bros. Interactive announced the additions of Kevin Smith, Geoff Johns, and Stephen Amell (star of CW’s Arrow television show) to the game's ever-growing roster. Today's reveals are stripped from DC's "Dark" universe of characters. 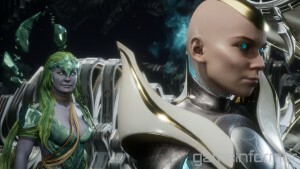 Players will be able to traverse deep, murky waters as Swamp Thing, a heavy-unit character that can pick up cars, smash through walls, and pound the ground to create tremor attacks. 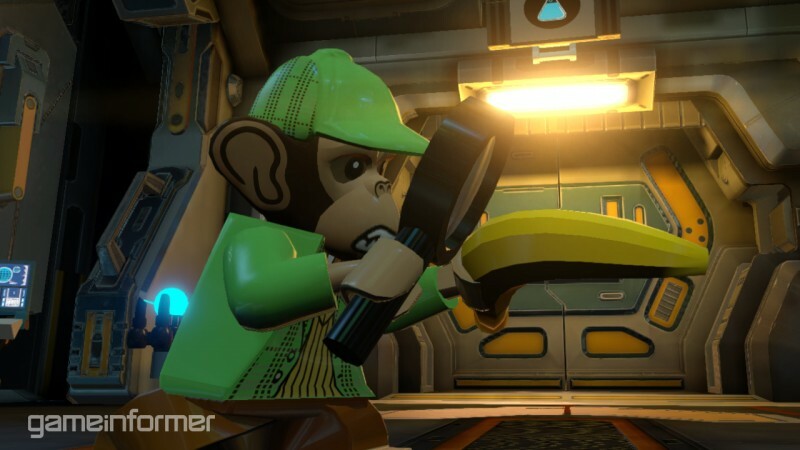 On the opposite end of the strength spectrum, players can perform melee attacks with a banana as Detective Chimp (a.k.a. Bobo T. Chimpanzee). 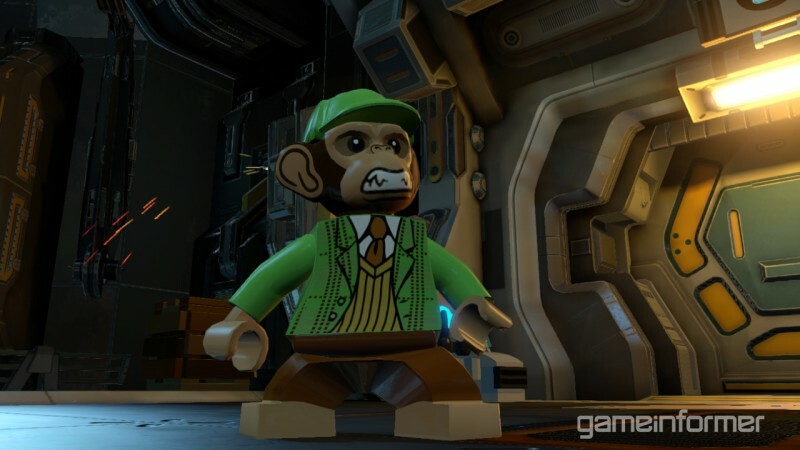 Yes, Detective Chimp can use his magnifying glass to uncover hidden Lego items and see through walls. He can also scale walls, swing on poles, and access computer terminals. 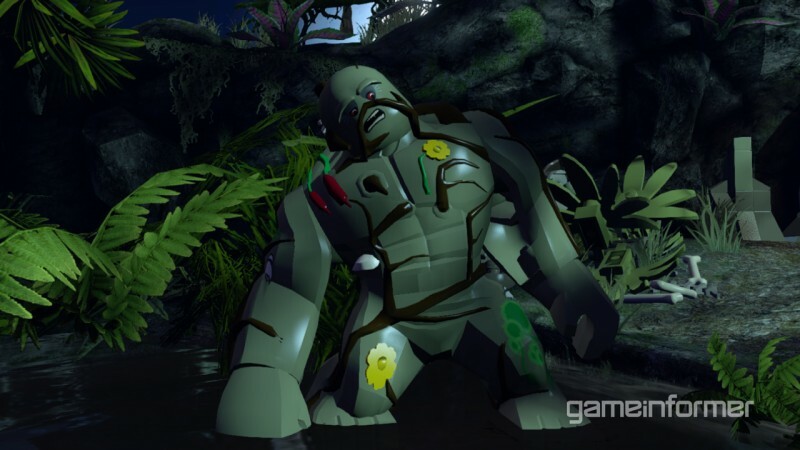 Lego Batman 3: Beyond Gotham is just over a month away, shipping to PlayStation 4, Xbox One, Wii U, PlayStation 3, Xbox 360, PC, Vita, and 3DS on November 11.